Happy Friday! 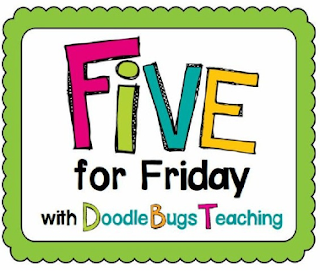 It's time to link up with Doodle Bugs Teaching for her Fabulous Five for Friday Linky! If you have been hanging around this week, you know that I celebrated my birthday this Thursday. This is in the running for my absolute favorite!! Shhhhhh.... I already have one- but I didn't tell my firstie that- he was too excited while he was giving me the bag. When Littlest Little came in at the end of the day he saw the game in the bag. He said "Oh Mama! You ......."
I love that he saw "my look" and chose to end the sentence "......were wanting that game!" 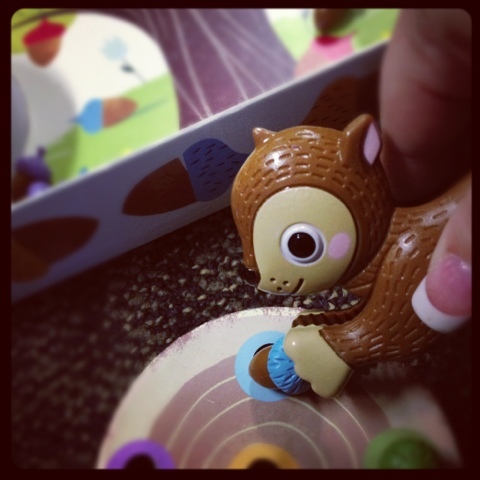 The game is The Sneaky Snacky Squirrel Game. Place the acorns in the tree. Spin the spinner. Land on a color, pick up that acorn. Land on the sad sleeping squirrel, you don't get to pick up anything. 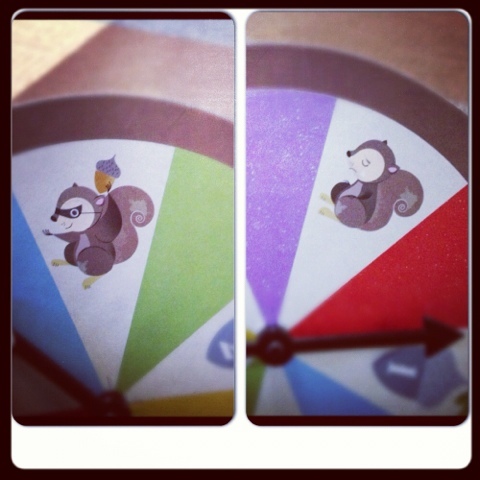 Land on the sneaky snacky squirrel, and you can take someone else's acorn! Sneaky Squirrel!!! 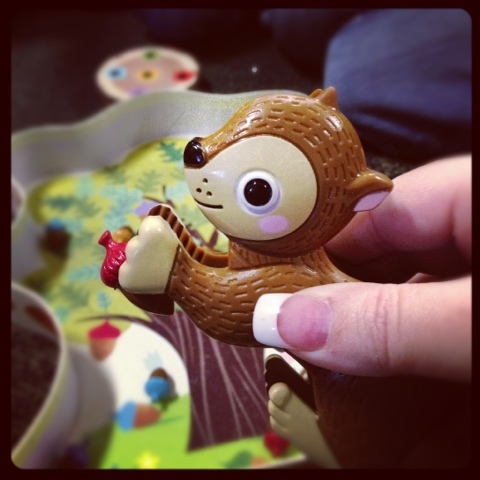 Look at the little guy you get to pick up the acorn with!!!! Place your acorn on your tree stump. First one to fill their tree with acorns wins. And it takes longer than you think!!! 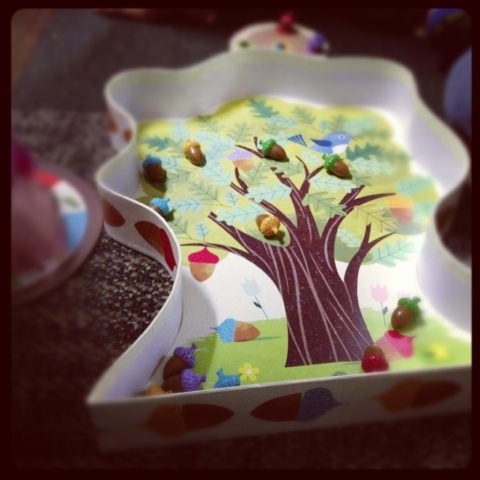 I also played some games this week with my Littles. Grandma sent us these GIANT cards! Enough with playing games right now though- I have to get my beauty sleep. I got talked into bowling tomorrow. Have a great weekend!!! I'll be back with SOMETHING educational- I swear! LOL, who knew squirrel games could be so fun? Love it! I need those cards...what a hoot! Could you imagine how BIG a game of solitaire would be???? That game is the CUTEST!!!! It looks very retro squirrel! :-) The cards are awesome. I think I need them!! Happy birthday! Hope it was fabulous!! Thank you for the Bday wishes- it WAS a great day! I LOVE those cards!! My class would too! Audrey got that game for her birthday and is obsessed with it! Thanks- it's a little "nutty" over here! Happy Birthday! I love the squirrel game and those cards would be so much fun! Who knew they made so many squirrelly things! Too fun!! Those cards would be awesome to use in a math center....a giant game of War or Turn over Ten...how funny would that be! I'm glad you had a great birthday! Happy belated if I didn't already tell you! Happy belated bday! I love that game and how it looks vintage..the squirrel is precious. Fun huge cards too - it's funny how people can find all kinds of things when they know what you like...enjoy! 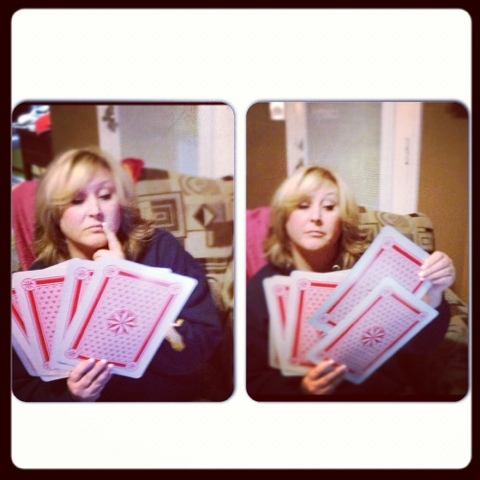 You look so pretty playing with those big cards! I missed your birthday!!!! Happy belated birthday by the way.